Corporate background & information | Retirement Villages Group Ltd.
Retirement Villages Group Limited (RVG Ltd) is the longest established operator of retirement villages in the UK having celebrated its 35th birthday in 2016. Its model of offering active, older people a supported lifestyle in villages with extensive facilities differentiates the company from other retirement operators which offer either sheltered accommodation with no facilities or support, or are nursing based offering services only to the frail. The company was sold by the founding owners on their retirement in February 2005 to an investment company. The new owners invested heavily in the expansion and development of the business through the acquisition of existing villages, development at new sites and expansion in to new service areas. The company has grown from three completed villages with one under construction in February 2005 to 16 villages in 2019 and a pipeline of more to follow. Many of the villages now offer nursing and residential care facilities and assisted living. Care services are managed and delivered through care specialists HC-One. The company intends to continue its expansion through acquisition, joint venture and organic growth. Our villages are communities, but they also sit comfortably within wider communities. Find out how our residents, staff and villages integrate with local people, groups, charities and services. Click here to read more about our Corporate Social Responsibilities. Retirement Villages currently has a £100m development programme underway with an estimated GDV of around £200m. We are always looking for new opportunities to expand our portfolio of village and care homes in the UK. We look to acquire development land, existing developments/businesses, and are open to joint venture and franchise opportunities. Ideally, we are looking for sites which are between four and ten acres and are well located in the home counties and southern England, with good local amenities. 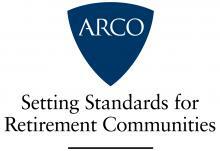 Retirement Villages is a founder member of the Associated Retirement Community Operators (ARCO). Launched in March 2013, this trade association represents more than 250 retirement communities across the UK. Its mission is to raise awareness of the retirement community model amongst older people and the wider public and ensure policymakers fully understand how this type of housing provision can meet the lifestyle, health and social care needs of the ageing population. We are fully committed to following ARCO’s consumer code. Full details here. Retirement Villages Group is a member of Care England, which is a leading representative body for independent care providers in the UK. Working on behalf of small, medium and large providers, Care England speaks with a single unified voice for both members and the whole care sector. Please see their website here. All our care homes and services are reviewed and accredited by the Care Quality Commission – the independent regulator of all health and social care services in England.